Few days back, I attended an internal training on geometrical concepts from QA perspective. The instructor was a guy who had switched to software development from QA profile. We work on a CAD software, so most of the people involved are from mechanical background. It was a very good 'training' which introduced us to the very basics of how a CAD software is written/coded. 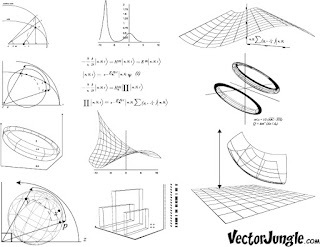 Geometric kernels, application layers, OpenGL, tessellations, criteria on which 3D applications are build - CAD or Gaming or the likes, Bezier curves, lines, equations, etc, etc.. finally we understood the reasons why we learned the Newton–Raphson method, etc, etc, in our engineering curriculum. One particular 'fact' or theory that we learnt is - the boundary conditions are places where typical care is taken by good developers. But obviously not all developers are that smart, which is why we QA guys are hired :) And a good QA guy will always try to find the boundary conditions where the computations traditionally fail. This particular method struck to me.. on very abstract terms I could see how we could simplify our lives. It is an amazing analogy..
Our needs and desires are endless much like the both the ends of a straight line..
And life itself is not very straight.. its curvy in nature.. sometimes up, sometimes down.. sinusoidal if I may put it that way.. we all have our crests and ebbs.. highs and lows..
We can never understand life at 0 or infinity.. when we are empty and broke, we are clueless.. on the other hand even at infinity where we could have everything, here too we are equally clueless since our denominator is actually 0.. So how do we simplify it? Add a parameter which changes from 0 to 1 over a segment and then move on to the next segment.. you setup a target, work towards it and in due course of time you'll acquire it.. from one target to another.. from one priority to another.. from one need to another.. you break your life in segments and then work on them forgetting the hardships of nothing and complexities of everything. In any case, the slope or the sinusoidal trend at all the intervals would be constant.. indicating that the abilities of a person are limited.. not limited but more of a constant.. abilities are constant but the efforts and thereby the results may vary.. so it's not a straight line but sine-curve..
You can however change the slope/ability by simply changing the equation.. you can imitate another curve with higher slope.. but in effect you'll lose your original equation and acquire a newer equation.. you'll be in someone else's shoes loosing your own identity! You lose some you gain some.. you cannot have both.. you'll have to pay a price for the 'upgrade'.. for sure..
Every time you make a transition from one segment to another, the curve or the nature of the curve, may not be similar meaning the conditions in which you strive to achieve your goals will be different.. at other times it's not the conditions that are different but your own energy-levels are different.. There are certain special lines too.. the X and Y axis.. one where slope is zero and other where it is infinity.. and there may be lines parallel to both the these axes.. here my interpretation might be slightly skewed.. people with no ability to adapt or change .. slope 0.. while infinity have tremendous potential but they never go anywhere, their y gradient is 0.. so neither are good to have conditions.. 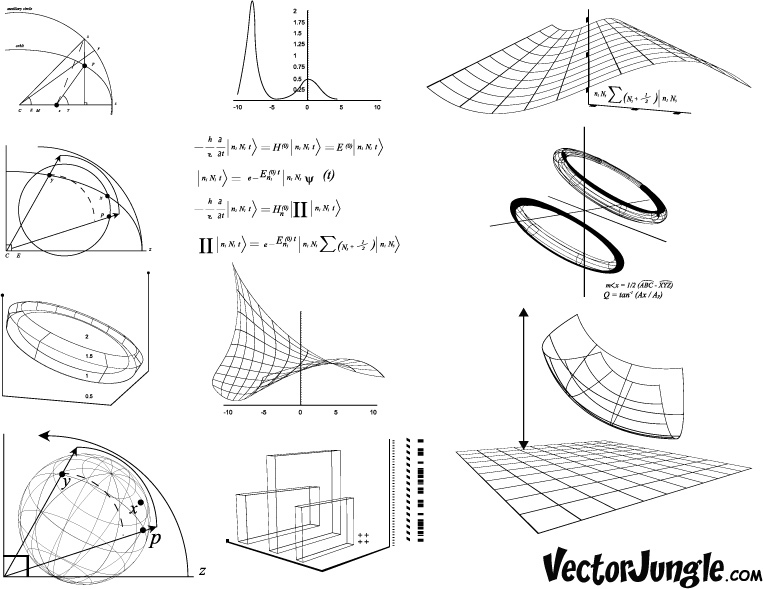 I've always hated algebra/numbers but loved geometry.. Geometry is indeed a very interesting subject.. and I've always loved it to the core.. and these new lessons unveiled to me a deeper meaning of life.. understanding the numbers of life in a better way using lines and curves.. Thanks Kaushik for taking time to share your thoughts. Nice analogy. Live life. Take a pause. Live life again. Either you move target to target, or decide to take a pause and restart... great thought.